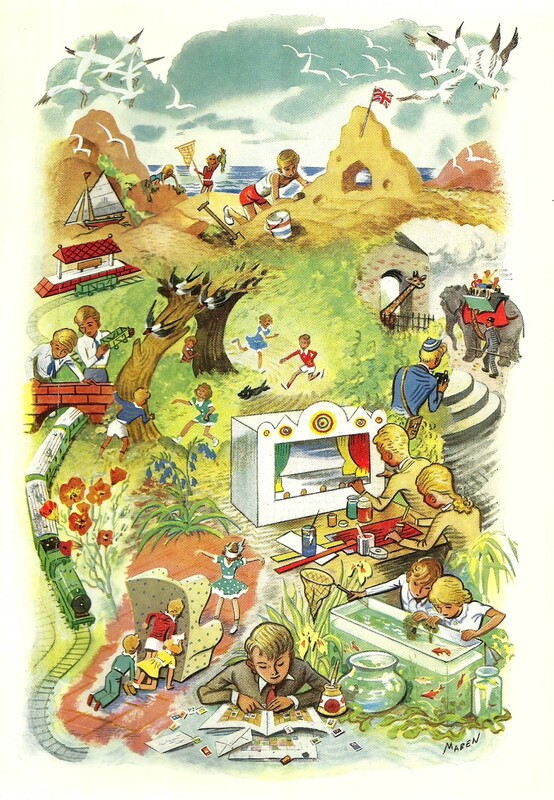 Once again I have delved into the ‘Odhams Book of Childrens Games, Puzzles and Pastimes’ Omnibus for a couple of games. 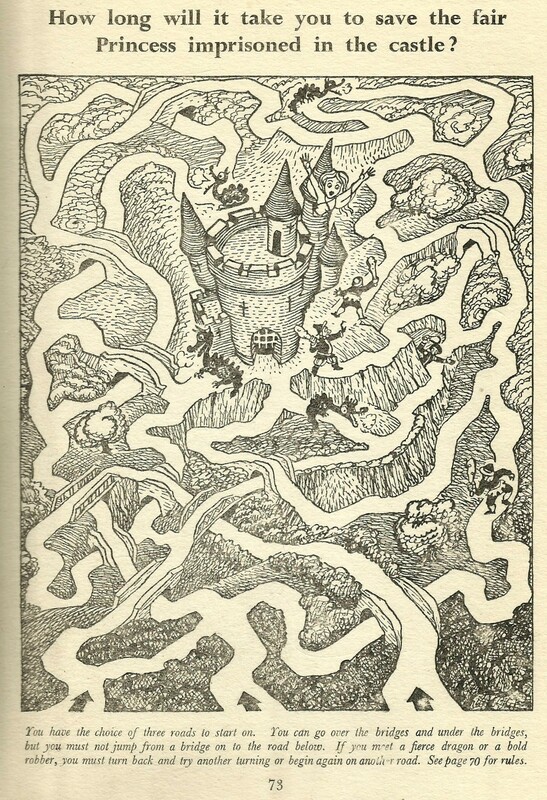 The one here on the right is a simple black and white drawing that involves rescuing the fair Princess held in the tower by the evil Dragons. More than likely there is a wizard around somewhere but it is hardly Harry Potter! The second one, below is far more attractive, the bold colouring and the imagery are gorgeous! 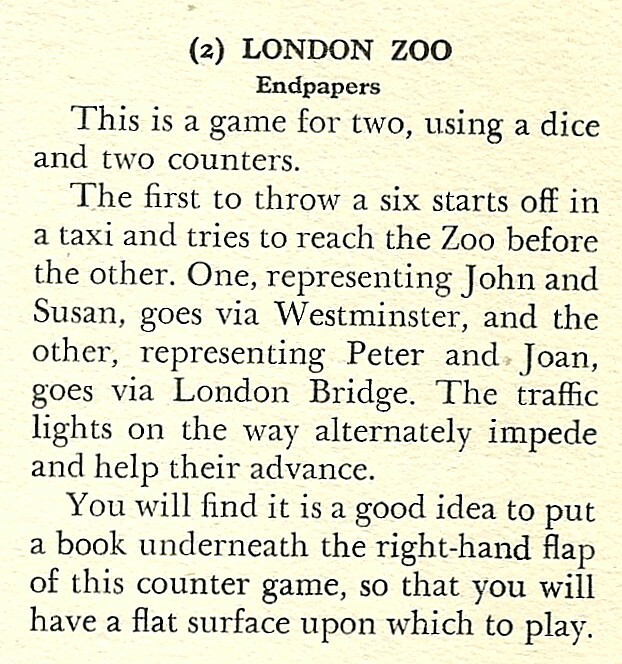 So, having rescued the fair maid before lunch, why not let her tag along with us as we take a trip with John and Susan to London Zoo . . . Please note the style and design of the various vehicles on the roads, rail and river (the Thames) that give this piece it’s extraordinary ’40’s feel! 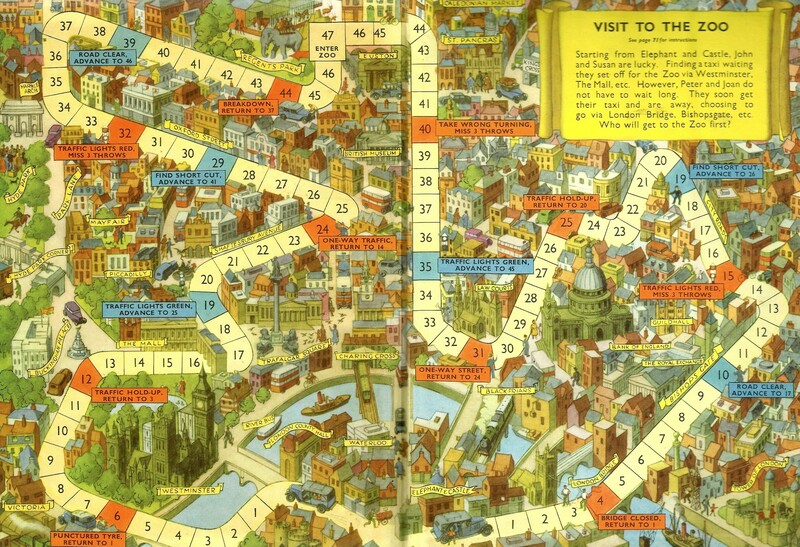 This entry was posted in Childrens Pastimes and tagged cartoon, city, dice game, games, London, Princess. Bookmark the permalink.